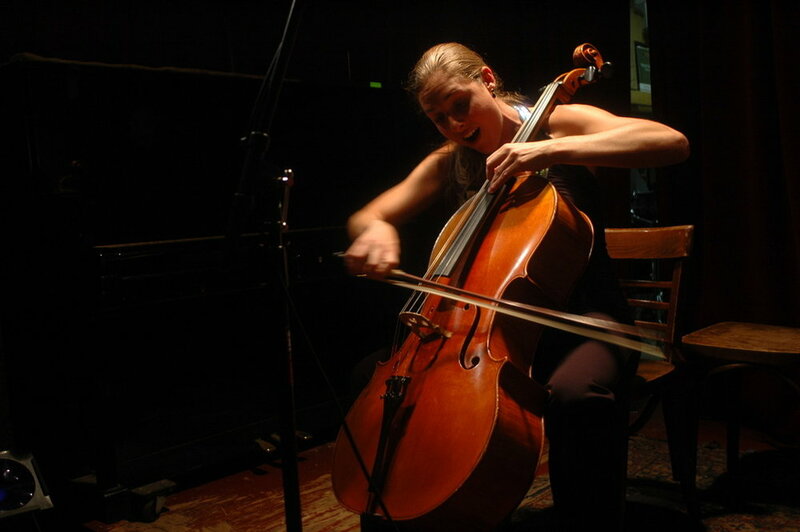 JODY REDHAGE is a cellist, composer, vocalist, and passionate advocate of creative new music and chamber music, and has been called "a new music dynamo...Redhage is cultivating a growing repertoire of indie art song that breaches genre boundaries and makes for stirring listening" (MusicWorks magazine). Praised for her “exceptional technical command,” (Steve Smith, Night After Night), Redhage has premiered over 100 works, including almost 30 that she has commissioned for her voice, cello, and electronics from some of today's most talented composers. An active composer herself, she writes for Rose & the Nightingale, and pursues solo projects in which she sets the poems of living American poets as the lyrics. "Adventurous cello songstress Jody Redhage" (Time Out NY) is a member of 2011 Best New Artist Grammy winner Esperanza Spalding's Chamber Music Society, traveling to five continents since 2010, with an upcoming week at the Village Vanguard in December 2013. She has performed on NPR's Tiny Desk Concert Series and for Holland and France's NPR stations. Jody works often as a recording session player, and has recorded for Sesame Street, and on many CDs, commercials, and films. Her recent solo album of music for her voice, cello & electronics, Of Minutiae and Memory (New Amsterdam Records) was rated #8 of 2011 by Textura Magazine.